The demand for better wireless network access at RV Parks has shifted from "nice to have", to a necessity. Due to this, network performance has become a business-critical requirement. Your customers have come to expect a reliable Wi-Fi connection, both inside and outside of their RV. Poor Wi-Fi will influence their decision to stay at a park...or leave. To accommodate the growing number of mobile and Wi-Fi enabled devices, improvements to the efficiency of the wireless network and how it handles congestion and increasing capacity is a key factor in a successful and reliable wireless network. GNS Wireless specializes in designing and installing RV Park Wi-Fi solutions. 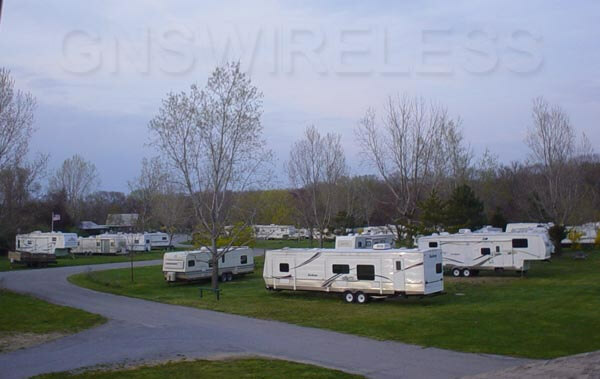 We provide a one stop shop for all your campground and RV Park Wi-Fi equipment needs, in order to install a reliable, dependable Plug-N-Play Wi-Fi Network Solution. We have the experience to answer any and all questions you may have along the way, so get started by calling GNS Wireless at 877-209-5152. The objective of a RV Park Wireless hotspot equipment package is to provide your campground with a strong, reliable signal, that reaches the perimeter of your park. High power 802.11N, or 802.11AC Wi-Fi access points are used, in specific areas in order to provide the customer, using their Wi-Fi enabled devices found in notebook computers, PDA's, and smartphones, Ipad Wi-Fi, Wi-Fi phones and other Wi-Fi enabled devices, with a reliable connection to the internet. Once the wireless network hotspot equipment is installed, the campground now has the option to provide a free complimentary service or an optional paid RV Park Wi-Fi service to give your customers who visit the campground options of connecting to the wireless network. Typically, Campground WiFi networks do not charge customers for WiFi access, as this service has become expected when staying at a campground. If you do choose to charge for internet access, an optional hotspot gateway can be added to the RV Park Wi-Fi setup at any time, and GNS Wireless can assist in configuration and installation. 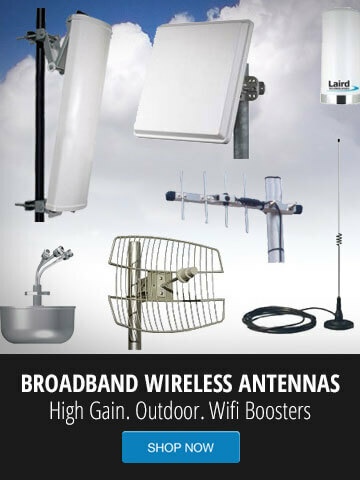 RV Park WiFi signal boosters will allow you to extend the range beyond the 100ft. your existing wireless N router is providing. However, not only will you want to upgrade the outdoor wireless access points, you want to make sure the router you choose can support the same increased work load that the wireless access points can handle. In other words, if you upgrade your RV Park Wi-Fi setup to broadcast an extra 500ft. in all directions, you are now going to have more client devices on the wireless network. The increased usage on a typical wireless N router will most likely fail, or at the very minimum lock up, during peak usage times such as morning and after work. To prevent this, we carry a few basic, but reliable routers that are more commercial grade, and have the ability to also control bandwidth as your wireless network grows. A higher-quality router will not only stabilize your RV Park wireless network, increase security and reliability, but will also allow you to set a maximum upload and download speed for all guests and devices connected to the wireless network. This will prevent any single user or device from "hogging" all available bandwidth. Easily change settings for off-season, or holiday weekends to control network throughput. For campground or RV Parks with less than 100 users, the ZyXel UAG4100. Easy to use, Technical Support included. For larger campground and RV Park Wi-Fi setups, the Nomadix AG2400, or AG5900 has ability to handle up to 2000 users with advanced customization. Most campgrounds that have trees, or other obstructions in the park, and have an area of more than 1 acre will need a WiFi booster or RV park WiFi range extender. Basically this means you will use the bath house, or maintenance shop on the property (power required), and install another high power access point. We will configure this access point to "repeat", or "boost" the signal coming from the main office. Typically this is done by means of a wireless repeater, or for faster, higher quality results, we connect these remote locations using a wireless bridge kit. Either way, for larger coverage areas where more than 1 access point is needed for good Wi-Fi service, an RV Park Wi-Fi booster is used. Email us the address or aerial view of your Campground/RV Park/Marina or other outdoor venue.